Renowned scholar Stephen Skowronek's insights have fundamentally altered our understanding of the American presidency. His "political time" thesis has been particularly influential, revealing how presidents reckon with the work of their predecessors, situate their power within recent political events, and assert their authority in the service of change. In the original edition of this book, Skowronek revisited that thesis to make better sense of the presidencies of Bill Clinton and George W. Bush. In this new edition, he also addresses the first two years of Barack Obama's presidency. 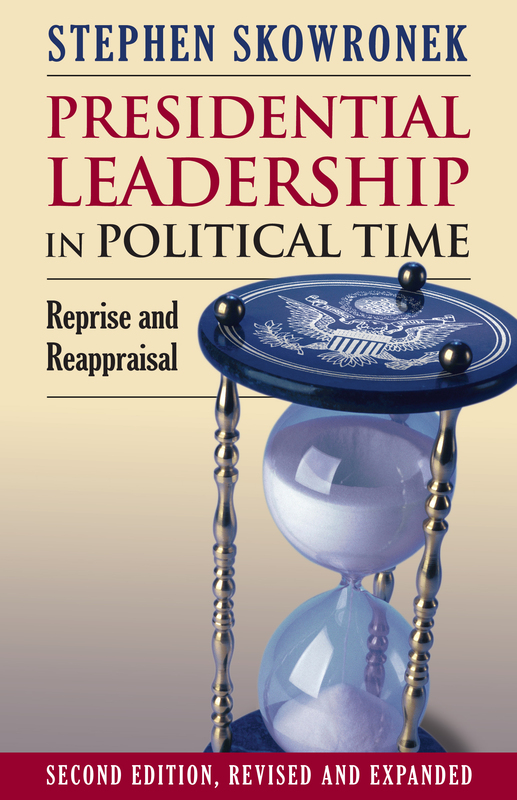 Already considered a classic and widely used in courses on the presidency, Skowronek's book has greatly expanded our understanding of and debates over the politics of leadership. It clarifies the typical political problems that presidents confront in political time, as well as the likely effects of their working through them, and considers contemporary innovations in our political system that bear on the leadership patterns from the more distant past. Drawing out parallels in the politics of leadership between Andrew Jackson and Franklin Roosevelt and between James Polk and John Kennedy, it develops a new and revealing perspective on the presidential leadership of Clinton, Bush, and now Obama. In this edition, Skowronek devotes an entirely new chapter to Obama's presidency and its prospects for becoming transformational-like the presidencies of Jefferson, Jackson, Lincoln, FDR, and Reagan, all of whom succeeded to varying degrees in reconstructing the playing field of national politics. Along the way, he wonders if this kind of leadership is still even possible, given the current divided state of the American polity. He also takes a fresh look at the impact of the twenty-four-hour news cycle, of a more disciplined and homogeneous Republican party, of conservative advocacy of the "unitary theory" of the executive, and of progressive disillusionment with the presidency as an institution. A provocative review of presidential history, Skowronek's book brims with fresh insights and opens a window on the institution of the executive office and the workings of the American political system as a whole. Intellectually satisfying for scholars, it also provides an accessible volume for students and general readers interested in the American presidency. Stephen Skowronek is Pelatiah Perit Professor of Political and Social Science at Yale University. In addition to The Politics Presidents Make—winner of the J. David Greenstone Prize and the Richard E. Neustadt Prize—he is author of Building a New American State and coauthor with Karen Orren of The Search for American Political Development.